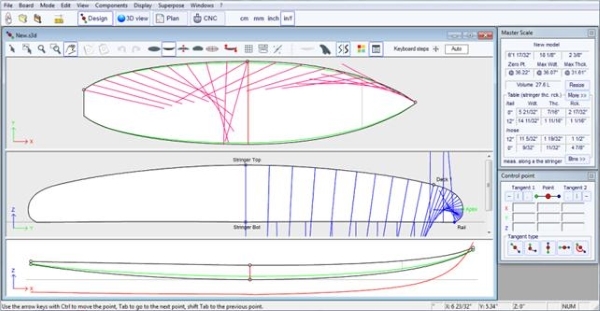 With Shape3d Lite you can create your own surfboard, sailboard, paddle, kite..., and send the file to the nearest factory to have it cut exactly like you designed (compare features). 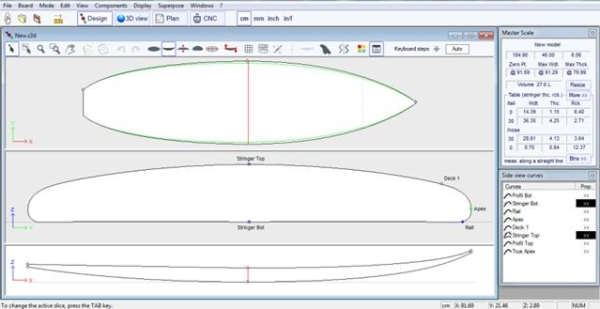 Save in the Shape3d X format (.s3dx) and Shape3d 8 format (.s3d). Open .s3dx, .s3d, .brd, .brdx, .srf, .kms and .pbd. 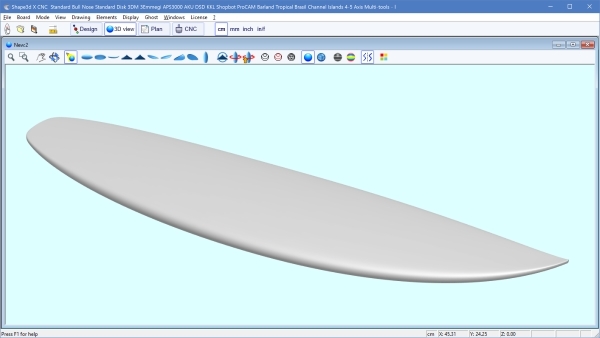 3D View with Solid redering.